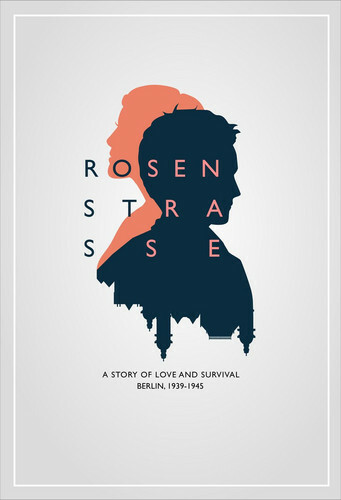 Rosenstrasse is a tabletop role-playing scenario exploring the experiences of Jewish-Aryan couples in Berlin between 1933 and 1943, informed by the stories of real people and culminating in the historical Rosenstrasse protest. 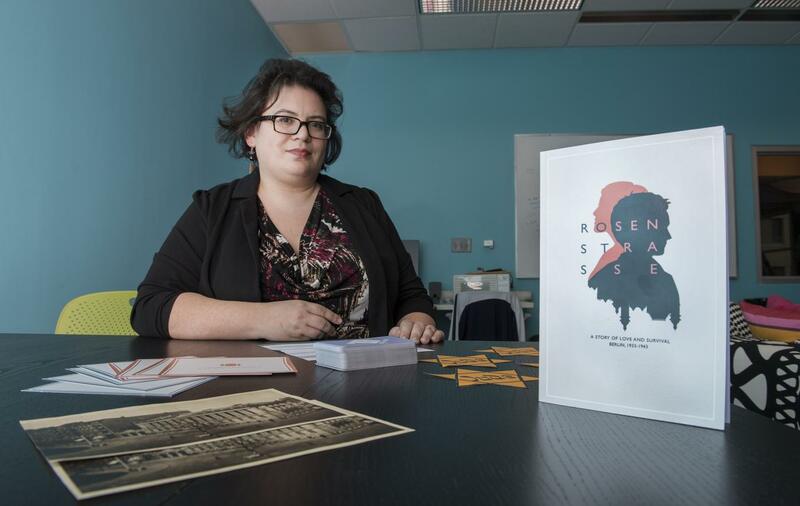 While the game aims to provide a rich backdrop of Berlin under the rise of the Third Reich, its focus is primarily on the people affected and the evolution of their relationships under duress. As such, the game is intended to be deeply elegiac, to provide an emotionally immersive experience for the players, and to enable a sincere glimpse into the lives of the people who inspired our characters. The experience aims to be tense and difficult for the players to endure. 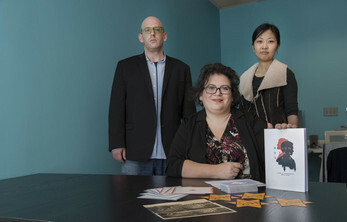 The narrative focuses on three married couples and a brother-sister pair, all of whom become disenfranchised by the racial laws of Nazi Germany. 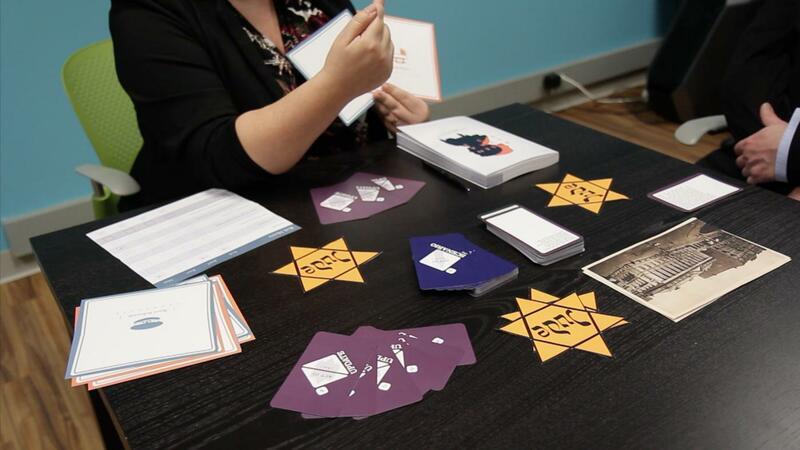 Each player is assigned both a male and a female character to experience the game, and each character is paired with a spouse or sibling portrayed by another player. The scenario begins with a short set of workshops followed by a series of prologue scenes that establish characters and relationships. Act I and Act II develop the pairs through the growing loss of civil liberties during the rise of the Reich from 1933-1943. These scenes set the emotional groundwork for Act III, which focuses on the arrest of the male characters and the women’s participation in the Rosenstrasse protest. A short epilogue brings closure to the characters’ stories and the game, but leaves them uncertain and still in the context of wartime Germany.